Tweet is a collection of seatings which combines the rational, clean design of the shell with a wide selection of frames and finishes, to guarantee the best adaptability in contract projects and domestic settings. 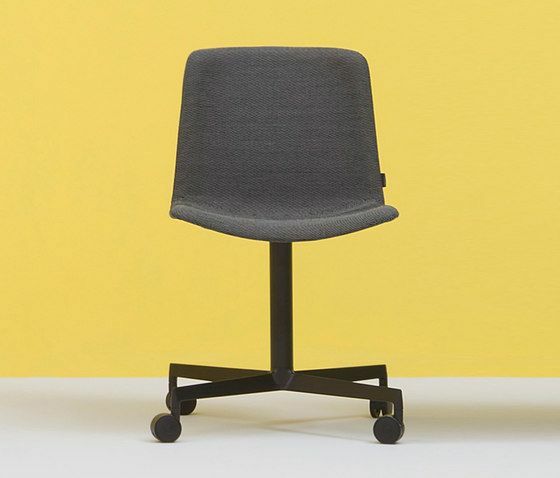 The characteristic one-colour or two-colours polypropylene shell is now joined by the upholstered version, which enhances its natural tendency to integrate into any environment, thanks to its multiple chromatic combinations. Soft and comfortable, it is available with four different frame options, with padded armrests too.